With shattered hearts we say goodbye to our beloved mother, grandmother, great-grandma (GG), neighbour and friend. 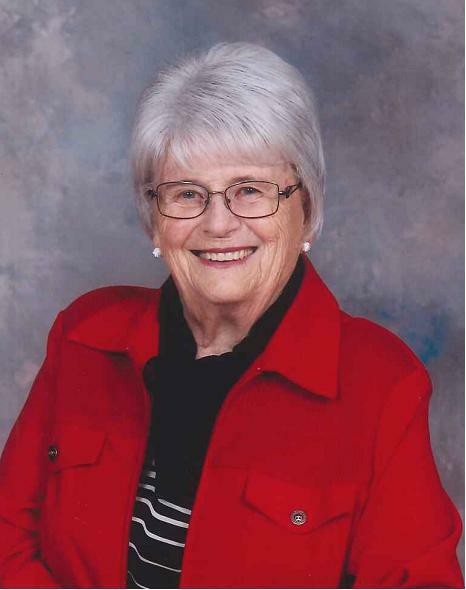 After suffering a massive stroke, Anna Ziegler passed away, at the age of 84 years, on the morning of April 8, 2019 surrounded by her loving family. Anna was predeceased by her parents Henry and Margaret Fink; husband Adam Ziegler; son-in-law Harvey Seitz; her siblings: Rose Horack, Mary Kraft, Theresa Horack, Albert Fink, Casey Fink, Kay Wolbaum, and Walter Fink. Anna is survived by her children: Janice Seitz and family: Jeremy & Bonnie, Derek, Curtis & Shantel, [Keran, Sakoda], Matthew & Brandi, [Noah, Sadie]; Judy (Trevor) Grant and family: Jenna & Justin Kozakevich, [Anna, Mya, Jameson], Richard; Cheryl (Wade) Behrns and family: Ainslee & Nevin Rumpel [Chesney, Rowynn], Marlee & Mitchell Young [Laikyn, Livie], Delainee; Glenn (Tina) Ziegler and family: Adam & Jessica, Ashley, Katelyn, Tristan, Randi; Carolyn (Dave) Wild and family: Shawn, Mitchell (Renée) Ferguson, Christopher & Kayla Wild [Ellie, Braeya, Aidyn], Deanna Wild (Drew); Dale (Charity) Ziegler and family: Brett, Breanna, Brodie; Donna (Dean) Warnke and family: Danielle (Martin) and Kelsey (Emmanuel); sisters: Adeline Seiferling, Laura Ell; sisters and brothers-in-law, Jerry & Marg Ziegler, Evie & Bob Richards, Pat Stoppler, and Monika Ziegler (Clint), along with numerous nieces, nephews, relatives and many friends. Anna was born in the Vibank area. She married Adam Ziegler and they raised their 7 children on the farm at Francis. Anna lived her life in service to others--her children--her husband and eventually her community. Everyone was drawn to her fun-loving, generous and optimistic nature --and the aromas coming from her kitchen. Mom loved new adventures, playing cards, travel, cooking for others, fishing, her flowers and garden. But, family always came first. Her passing has left a hole in our hearts. A Visitation was held Thursday, April 11, 2019 at 7:30 p.m. to 9:00 p.m. from RD Family Funeral Chapel, Weyburn, SK. A Mass of Christian Burial was held Friday, April 12, 2019 at 11:00 a.m. from St. Vincent de Paul Roman Catholic Church, Weyburn, SK with Celebrant Fr. Francis Plaparampil. Pallbearers were: Jeremy Seitz, Curtis Seitz, Richard Grant, Adam Ziegler, Brett Ziegler and Shawn Ferguson. Luncheon was held at McKenna Hall, Weyburn, SK. Interment followed at the Francis Cemetery, Francis, SK. In lieu of flowers, family and friends so wishing, charitable donations in memory of Anna may be made to the Heart & Stroke Foundation of Saskatchewan, 1738 Quebec Avenue, Unit 26, Saskatoon, SK, S7K 1V9 or CWL, 314 ~ 3rd Street NE, Weyburn, SK, S4H 0W7.